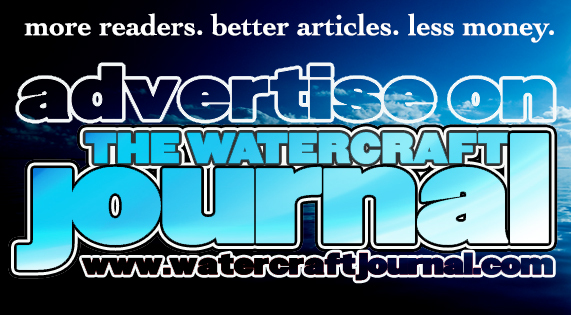 IJSBA Recommended Rule Changes For 2019 | The Watercraft Journal | the best resource for JetSki, WaveRunner, and SeaDoo enthusiasts and most popular Personal WaterCraft site in the world! Imagine for a second that you are a class-leading racer, racing your watercraft in a heat leading up to the national title race. You and the next best racer are battling it out. Coming around on the final lap you and he are head to head and as soon as you reach the last turn, he reaches over and yanks your safety lanyard instantly killing your watercraft. He breezes by and crosses the finish line ahead of you. You look over and all the fans are jumping up and down screaming in dismay, the crooked act was caught on live television, and yet the sanctioning body officials do not know what the big deal is, the act is left unchallenged, and you just lost your chance at winning the national title race. Okay so this story seems very far-fetched however if you were rooting for New Orleans leading up to this year’s Superbowl, then such a scenario is not too far from reality for you right now. 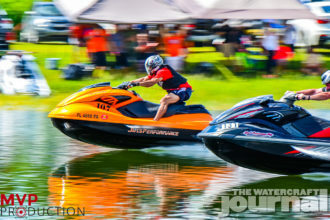 If the sport of watercraft racing got as much national attention as the NFL, then rule change outcries would be heard from miles away. All kidding aside though, every sport goes through technical and political changes and the rules must constantly be analyzed and changed if necessary. The IJSBA has already submitted recommendations for rule and policy changes in 2019. The managing director has made a list of recommended changes and recently submitted them to the Board of Directors. All recommended changes can be seen below and if approved, could be in effect starting next year. Recommendation that the Board of Directors pass a Ski Class rule change that formalizes the interpretation ruling that aftermarket hull and top deck configuration may be a maximum length of 97 inches from the furthest point of stern to the rear of the unit with an additional length of 5 inches, beyond the overall watercraft length, to be permitted for ride plate length and nozzle/venturi length. Under no circumstances will the combined hull/top deck and extension exceed 102 inches. The maximum engine displacement allowed will be: 1300cc if powered by a naturally aspirated two stroke engine; 1500cc if powered by a naturally aspirated four stroke engine and; 1100cc if powered by a four stroke engine that is equipped with any sort of forced induction. Recommendation that the Board of Directors adopt the following policy for Runabout 1100 Open and Modified Classes: To utilize an aftermarket hull or top deck, a watercraft must be of one the following units: Sea-Doo Spark (any); Yamaha EX (any). All other units must utilize OEM hulls only. 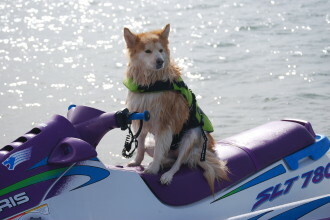 This ruling has no effect on existing 800cc based two stroke watercraft that are currently allowed aftermarket hulls. Recommendation that the Board of Directors amend the Rec Lites category to allow the standard Yamaha EX but specifically exclude the Yamaha EXR. 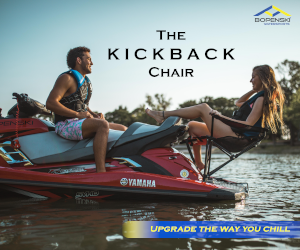 Recommendation that the Board of Directors approve a policy that prohibits any type of Runabout seat or seat and accessory combination that allows the rider to lock into place while on the watercraft. Language to be developed that limits the degree of saddle characteristics to the seat. This policy will be in effect at the 2019 World Finals and must be adopted by all IJSBA Sanctioned Organizers by January 1, 2020. Mod Lites to be integrated into the Womens Ski class. No change to be made to the Womens Ski Lites Class. A Sportsman Classic Sport GP class to be tentatively added. Competitors may be allowed on an original Yamaha Waveblaster (also known as B1 Blaster) and original Kawasaki X2. The Sportsman designation will exclude Pro Licensed riders as well as riders who have earned World Championships or frequent podium finishes in the last three years. This will be a weekday class. Standard Sport GP to be moved to the weekend. A tentative Classic Runabout 1000 class to be added. Two Stroke Runabouts up to 1000cc will be allowed. These will be the only changes and policies recommended to the Board. For any questions or comments regarding this press release, please email info@ijsba.com.